Central Massachusetts figures prominently in America’s past, and today it offers some of the most interesting family activities in New England. Explore Old Sturbridge Village’s 18th-century setting then stay and enjoy authentic New England cuisine, cozy rooms and fireplaces, and delicious sweets from Ye Old Bake Shoppe. The Ecotarium is one of the top science museums for kids in the country. 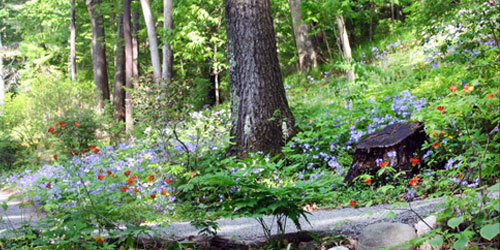 Enjoy walking tours, special events and exhibits at the Tower Hill Botanic Gardens. Find a cozy hotel room or exert yourself on a bed, breakfast and biking vacation you won’t forget. 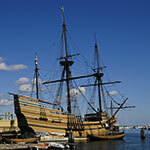 One of Massachusetts’ 50 great things to do has 50 great things all its own to enjoy when you arrive at this celebrated living history destination, one of the nation’s largest. Settle in at the Old Sturbridge Inn or Reeder Family Lodges. Savor authentic New England cuisine, cozy rooms and fireplaces, and delicious sweets from Ye Old Bake Shoppe. Then step into the 18th century and watch and participate in what people did then. Costumed interpreters will guide your visit on foot, on a stagecoach or standing beside a potter’s wheel or the blacksmith’s forge, or meeting with farmers and their animals at work. 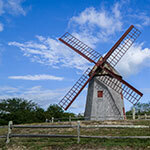 The 19th century is here, too, in 40 antique homes, buildings and water-powered mills in this most scenic town. Open year-round. Seasonal hours may vary. 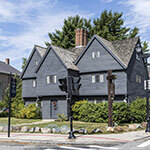 This central Massachusetts museum is considered one of the finest mid-sized museums in the country. Follow history’s path through 50 centuries of the world’s antiquities, paintings, prints, photographs, sculptures, decorative arts, arms and armor. 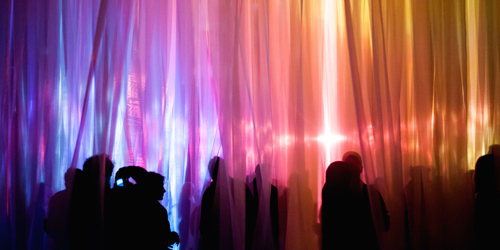 December 2018 brings an interactive art installation that will infuse the winter season with brilliant light and color during the Museum’s Holidays at WAM programming. 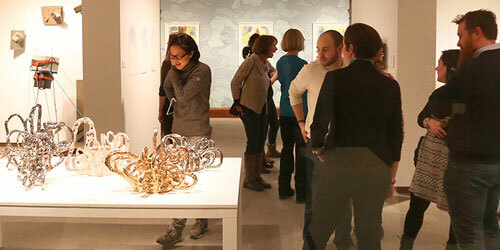 As a college art gallery, the Iris and B. Gerald Cantor Art Gallery’s mission is to promote the intellectual and cultural life of the College of the Holy Cross and greater community by exploring the fundamental intellectual, cultural, spiritual and aesthetic issues encountered through the visual arts. Through a series of exhibitions throughout the academic year, enhanced by receptions, guest lectures, readings, and students’ presentations, you’ll always find something of interest. Current exhibition information and hours of operation can be found on the gallery’s website. A bear and stag hunt from the 6th century BC portrayed in a giant floor mosaic. How hard would it be to get kids involved in games and explorations of this piece of artwork, speaking to them across 26 centuries? 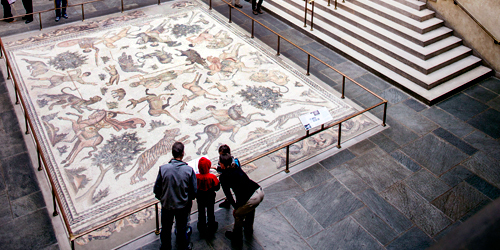 This glorious mosaic floor, excavated from a home in Antioch that was destroyed by an earthquake in 526 AD, is a centerpiece exhibit at Worcester Art Museum in Worcester and also the topic of a Family Guide exploration. A brochure invites kids to count animals and sketch the mosaic. Can you think of a better way to get your kids loving art and history? Garden in the Woods at 180 Hemenway Road in Framingham is the botanic garden of the New England Wild Flower Society. Fifteen hundred native plants live throughout the gardens, along with two miles of paths meander under a canopy of trees past a pond, a wooded bog, springs, and a brook. 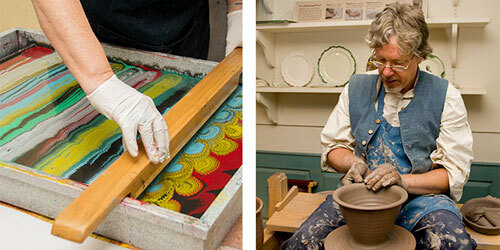 You can come for guided tours and for classes and other educational opportunities. Bring or buy a boxed lunch for a picnic and browse the Garden Shop, with a charming selection of native plants, books, tools, gifts, and snacks. Check out the family programs, too. 508-877-7630. 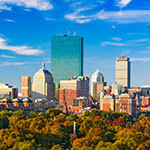 Tower Hill Botanic Garden in Boylston hosts great special events and exhibits at all time of the year, but you can come for walks and tours held every weekend. A walking garden tour, included in the cost of admission, happens every Sunday at 2 p.m. See highlights like camellias in the Limonaia and subtropical plants in the Orangerie, and the beauty of bark and berries in the Winter Garden. Learn about the history of the Worcester County Horticultural Society and learn about the future plans for the garden. Also, the garden welcomes people to bring their dogs to wander the dog walking trail on weekends from 10 a.m. to 2 p.m. 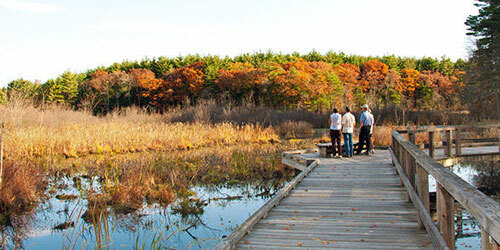 Within the 400 acres of woods, fields, streams, and marsh at Broad Meadow Brook Conservation Center and Wildlife Sanctuary at 414 Massasoit Road in Worcester, visitors can hike, cross-country ski, watch birds, look for butterflies, prowl for owls, or learn to snowshoe. The center has a large 3-D model of the sanctuary and a huge map of the Blackstone River watershed. Nature gifts, children’s books, field guides, are available at the center, which also serves as a visitor site for the Blackstone River Valley National Heritage Corridor. Trails are open daily, dawn to dusk. Phone: 508-753-6087. Holyoke Heritage State Park at 221 Appleton Street in Holyoke is a compact city park on the edge of the Connecticut River. Most important for people who love carousels, the park has a handmade merry-go-round dating from the early 1900s, the golden age of American carousels, many carved by immigrant craftsmen. 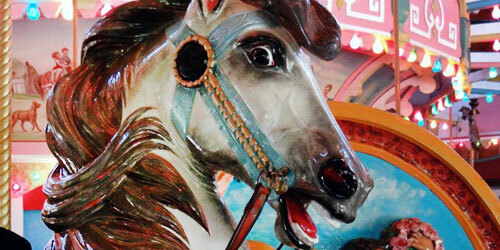 The carousel was installed in 1929 at its first home, a former trolley park in the city, and it is open to riders. The Children’s Museum and the Volleyball Hall of Fame also are located within the park. The park is a sweet place to relax and have a picnic overlooking Holyoke's three canals and a row of historic mill buildings. 413-534-1723. 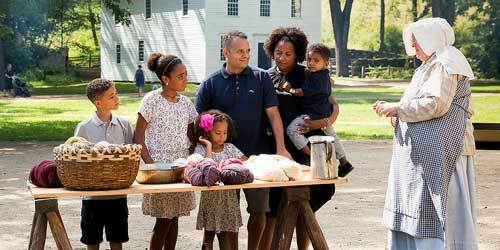 Crafts people will demonstrate dressmaking, shoemaking, medical care, basketmaking, gun smithing, cabinet making, coopering pottery making and even gravestone carving as these essential skills were done in places like Deerfield. See schedule for specific demos, offered on weekends from October 3 to December 12, 2015. Fun for the kids, too. 413-774-5581.